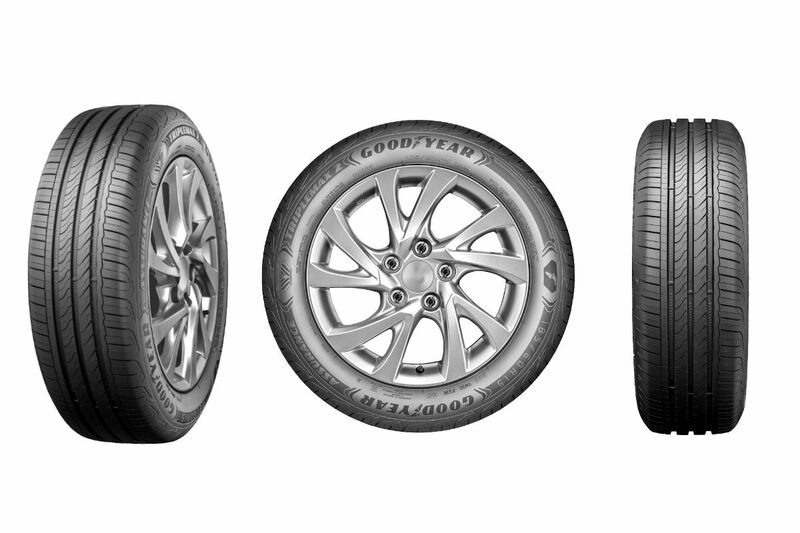 Designed to gear up and prepare passenger car drivers especially for the rainy season, Goodyear Philippines launched the Assurance TripleMax 2. Equipped with the new HydroTred Technology, it offers excellent grip performance with short braking distance under wet road conditions. This allows drivers to stop faster and drive safer during changeable weather conditions. As Goodyear celebrates its 120th year, they aim to empower drivers with the ability to confidently move free with the assurance of being in control, in any road and weather condition. Thus, the cutting-edge tire was crafted with the consumer needs in mind and the company’s pursuit for safety innovation. “To celebrate our 120th global anniversary, it is only fitting that we release a tire that perfectly captures what Goodyear has been passionate about throughout the years: innovation. With the Assurance TripleMax 2, Filipino drivers can rest assured that their travels would be safe, regardless of the weather conditions.”, Mr. Kenneth Sambajon, Market Director of Goodyear Philippines. As pioneers in the tire technology, the successor of the highly successful Assurance TripleMax in 2013 was enhanced to deliver better performance, specifically in its wet braking, handling, comfort, and resistance. Braking on wet roads has never been easier with the Assurance TripleMax 2’s Excellent Wet Braking Performance, giving drivers the maximum grip for shorter wet braking distance due to its state-of-the-art compound formulation and optimized footprint. The new HydroTred technology, with its squarer and steadier footprint and more effective contact pressure capabilities, promises Enhanced Handling Performance. This delivers a more controlled driving experience because of better tire cornering stiffness and steering precision. Both comfort and resistance are enhanced in the Assurance TripleMax 2. Its innovative tread pattern provides riders with their quietest, smoothest, and most comfortable ride yet, while being equipped with additional technical components that increase its resistance for all kinds of sidewall impacts.